Next year will be my 25-year anniversary in automotive journalism. A landmark for me, but as important to you as yesterday’s corn flakes. And yet, in all those years I’ve never driven on a public road in Japan. Until now. 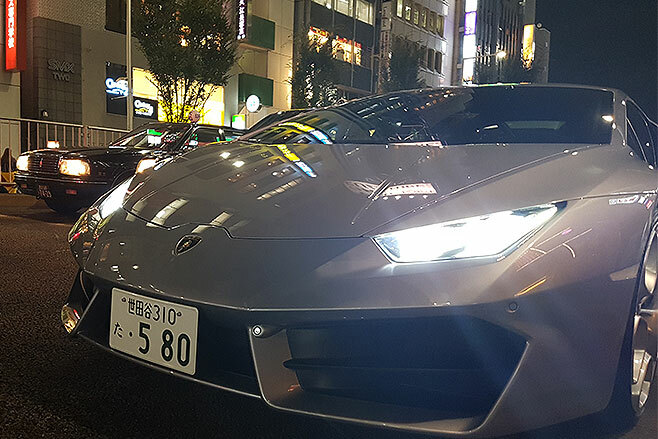 But when a colleague and I checked in to the hotel, our Lamborghini host casually mentioned that the two Huracan LP-580s in the valet area were available for test drives after 6pm if we wanted. Only catch was we had to be back for the official dinner at 8pm. Now, I don’t knock back two hours with a baby Lambo. But I soon realised that even two hours would not be enough to get anywhere interesting, let alone back again. Greater Tokyo is one-quarter the size of Melbourne but has three-times the population (13.6 million). Let me put that another way. Melbourne has 453 people per square kilometre, Tokyo has 6225. And it would be peak hour. And they were left-hookers. So no full throttle blasts out to and up the Hakone Pass, home of the famous 300 Club. And no scorching around Route 246, the Gran Turismo 5 road circuit that runs past Sony’s HQ in real life. The realisation that I’d be lucky to get out of second gear, let alone roast expensive Pirelli P Zeroes with full bottle drifts, was strangely freeing. 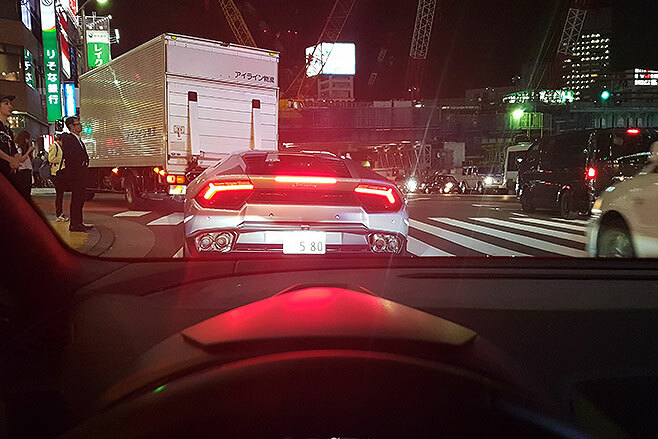 It gave me licence to just enjoy the moment as we burbled and barked from the hotel in Chiyoda-ku up to Shibuya Crossing – you’ve seen pictures of this five-way intersection that is flooded with humanity every four minutes. It was a round trip of barely 25km, and I could have done it all in first and second, but the gunfire salute that follows every gearchange is too addictive not to employ whenever possible. And the sound of the Huracan’s V10 wail bouncing back off the canyons of concrete and glass is spine-tinglingly sublime. The sound and sight of our two Lambos carving conservatively but vocally through busy, flowing traffic turned plenty of heads. All seemed appreciative, if the prominence of camera phones was any indication. Even more so when we latched onto an AMG GTS and a vocally enhanced Lotus Exige for a couple of traffic light grands prix. It was all really quite bizarre. But despite the ludicrously low speeds in a 300km/h-plus super-sports car it’s a memory as indelible as driving an MX-5 on the Nurburgring during a thunderstorm, crossing the Grossglockner Pass in an RS5 in winter, and having Laguna Seca and an Audi R8 V10 all to myself for half a day. Sometimes wonderful automotive experiences require a lot of planning, and sometimes the planets just align. Is horsepower now for people who can’t do aero?